PennguardTM linings are frequently used to protect steel flues in newly built chimneys with concrete windshields. 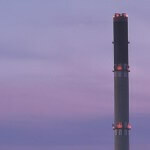 PennguardTM linings are also ideal to protect free-standing steel chimneys. PennguardTM linings are strongly insulating, so no external insulation is needed, which eliminates the risk of potential severe corrosion hazards by leaking external insulation system. Its low weight makes PennguardTM linings compatible with a variety of construction methods. 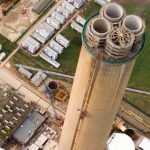 PennguardTM linings can be installed in completely erected steel chimneys / flues or they can be applied to steel segments (cans) at ground level first, prior to erection. 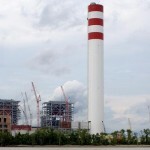 The chimney flue is then erected by welding the pre-lined cans together (see Project Report Pha Lai Power Station) or by using bolted flange connections (see Project Report Tanjung Bin Power Station). Only the field welds or flange areas are lined after erection. 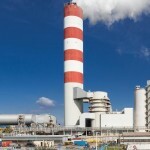 PennguardTM linings are also used to protect free-standing steel chimneys. 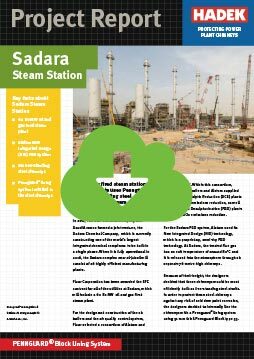 PennguardTM linings are strongly insulating, so no external insulation is needed, which eliminates the risk of potential severe corrosion hazards by leaking external insulation (see Project Report Sadara Power Station). PennguardTM linings can withstand high temperatures and thermal shock, and can handle a wide range of operating conditions. PennguardTM linings are durable and built to last with minimal maintenance, potentially for decades. 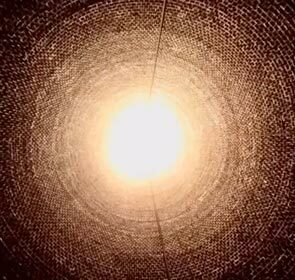 Interested in the operating performance of PennguardTM lined steel chimneys in FGD Wet Stacks at 4 US power plants? PennguardTM linings are frequently used in new steel chimney flues and free-standing steel chimneys. Resistant to a wide range of operating conditions, including FGD, both reheated and "wet stack"
Oil and gas fired steam station in Saudi Arabia uses PennguardTM lined free-standing steel chimneys downstream of its FGD systems.